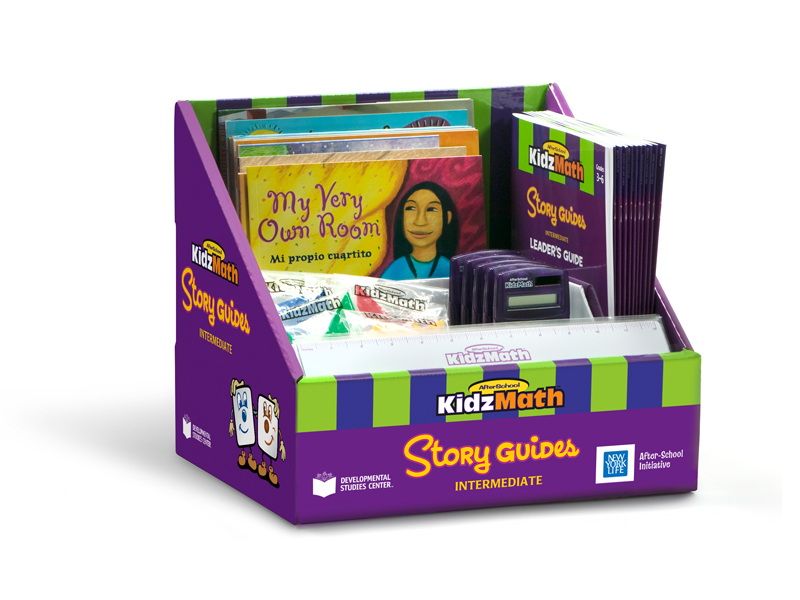 This project involved a complete redesign of theAfterSchool KidzMath™exterior packaging to bring it in line with AfterSchool KidzLit® and AfterSchool KidzScience™, both of which ’Berta also designed. 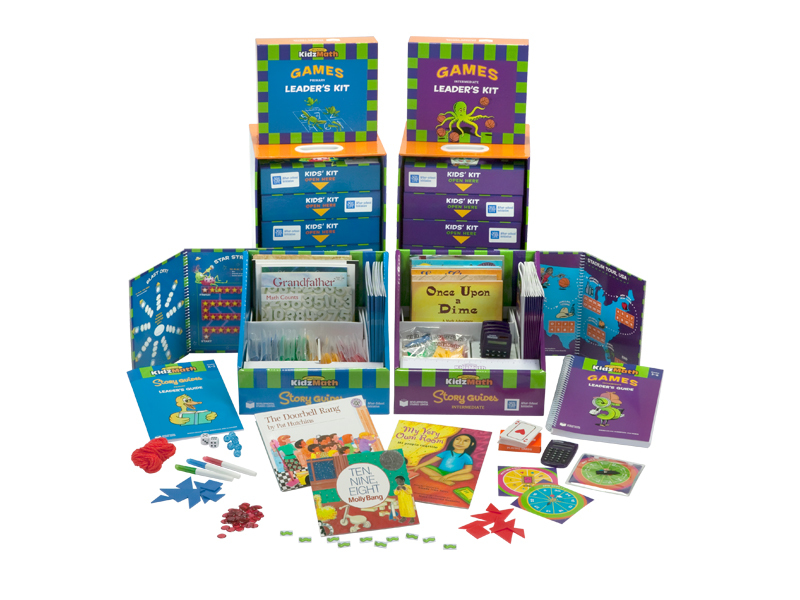 Previously, these programs were designed separately without an eye to creating a branded line look—they even had completely different logos! 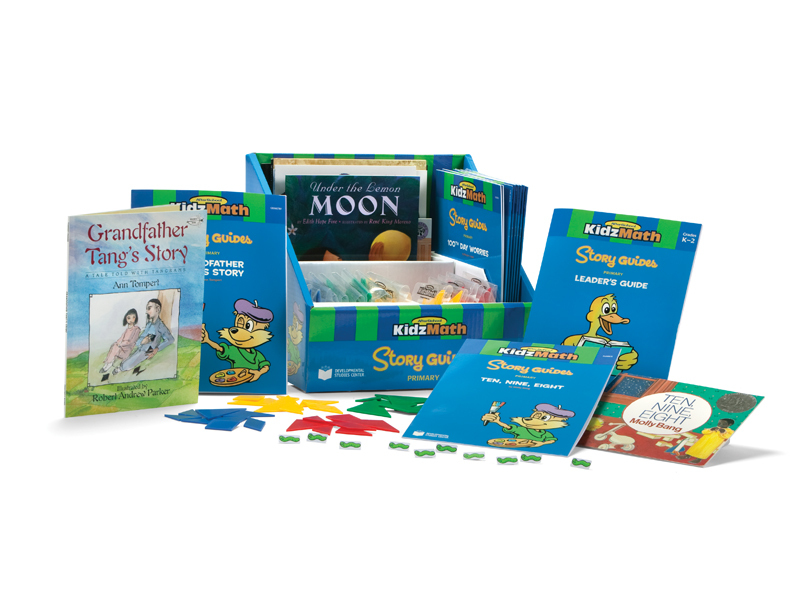 Before ’Berta re-conceptualized the entire “Kidz” line, it was unclear that they were a family of products, or that they were published by the same company. 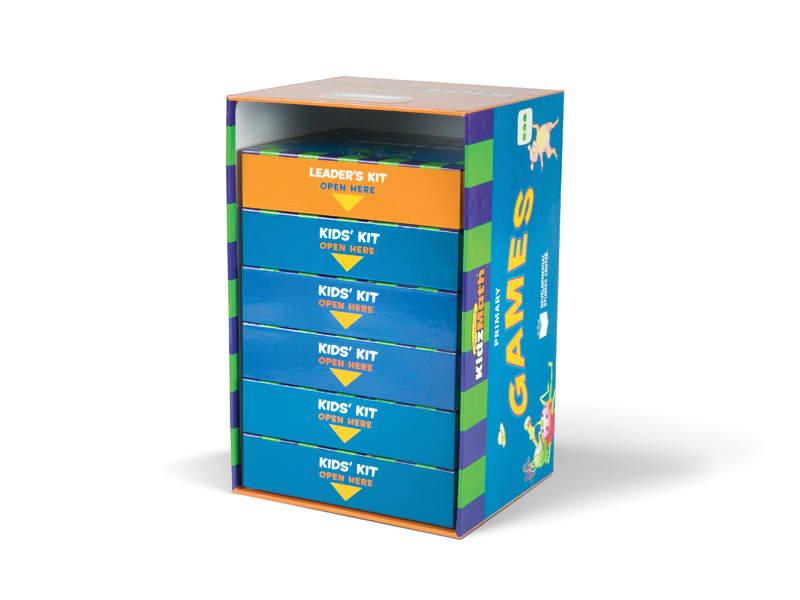 Each grades K–5 KidzMath Games set includes five Kid’s Kits and one Leader’s Kit. 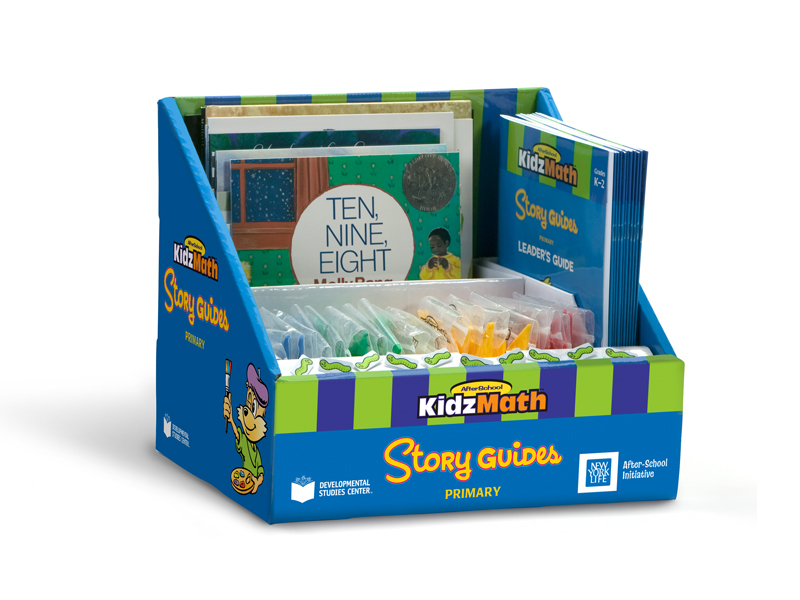 Each Story Guides set includes 10 trade books, 10 accompanying Leader’s Guides, and manipulatives. 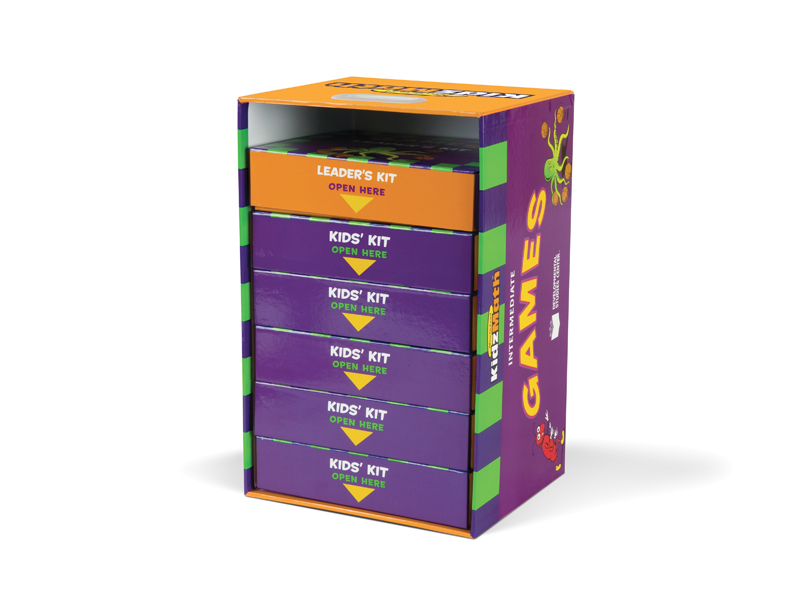 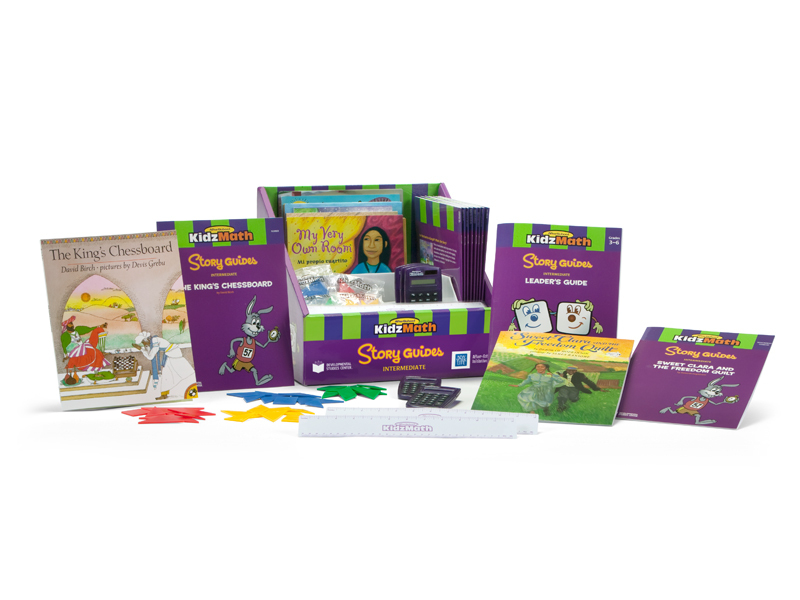 Each grab-and-go kit contains everything the leader needs to do the fun and cooperative math activities with kids.